Since we retired we purchased a second home in Cape Coral when we are not there we'll be happy to share our home with you. Our house is well maintain and taken care of. Very quiet neighborhood and friendly neighbors. We would highly recommend this home to everyone. It was absolutely beautiful and everything that we hoped for and more!! It was very luxurious and well decorated. A top of the line home. The pool was very very nice. We will definitely stay again! We can not wait til next April to book this home again. Hely the homeowner was very helpful and Edna the neighbor was also very helpful and friendly. If you book this home, we guarantee that you will not be disappointed!! This was a wonderfully complete house that made us feel like we were home. Meticulously maintained and beautifully decorated. 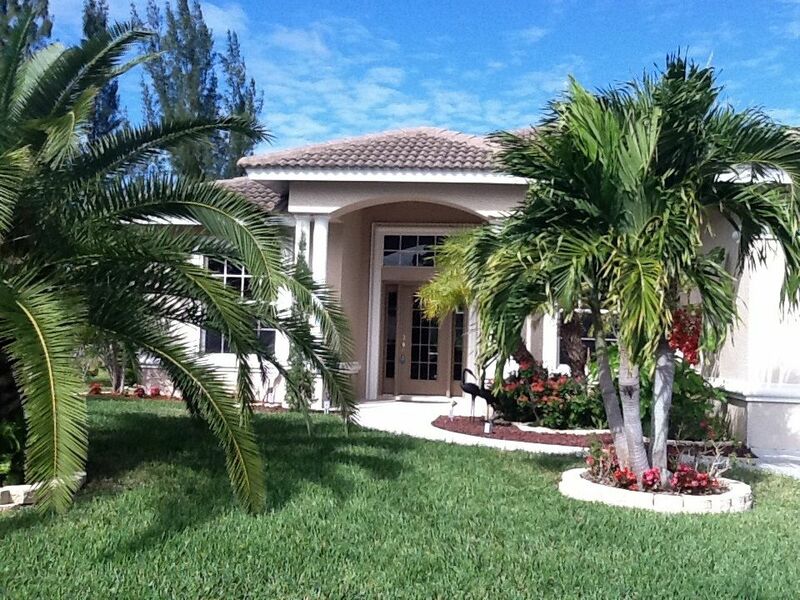 We spent a wonderful two weeks in in this house in Cape Coral. Everything you could ask for, no one wanted to leave. The pool and spa were well used. The house itself was all anyone could ask for. We had a chance to meet and talk with the neighbors who were very friendly and helpful. very and accommodating owners. Definitely a place to check out if you want a nice quiet place to spend some time in the sun. A lovely and comfortable home away from home. The homeowners went above and beyond to make our stay a great one and to help out when needed. Great neighbors, too. The Royal T is indeed almost too good to be true. The minute we walked through the front door we knew we were in for a very relaxing vacation. Hely and Rudy have made it a very beautiful home with their furnishings as well as filling it with everything that anyone could possibly need for one’s stay. The pool and the hot tube were very inviting. We were very pleased to say the least. If future plans lead us back to the Cape Coral area, we will most definitely try to stay here again.